The August stylist star of the month is…Danielle! 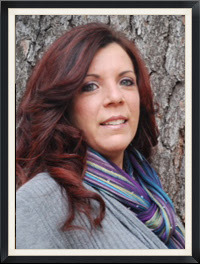 Danielle brings more than sixteen years of salon industry experience to the Complexions team. Her advanced educational background includes expereince as an Education Director for a distributor of professional salon products. She has trained with some of the industry’s top professionals including Paul Mitchell, Kaaral USA, RUSK and Farouk Systems. Danielle also worked and trained in New Jersey before relocating to this area. Her areas of expertise include long layering techniques, curly hair cutting, individually customized highlights, foiling techniques and special event styles. Danielle has participated in product testing and is extremely talented with color formulation, resistant grey coverage, corrective color, texturizing techniques, and creating amazing reds and blondes. Danielle believes that every client deserves to be listened to and, as a client in her chair, you will always receive a thorough and in-depth consultation in which she will work with you to create the best style for you. SPECIAL NOVEMBER DISCOUNT: We are extremely proud of our professional and talented hair stylist team. We’d like to offer you the “Stylist of the Month” promotion so you can learn more about Danielle this November, while enjoying a 20% OFF discount to first time clients when you schedule a salon appointment between November 1st and November 30th!